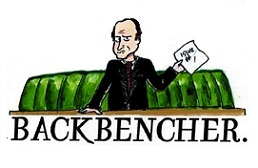 The Backbencher – Letting the poor die in the street? Letting the poor die in the street? Andy Bolton addresses those who mischaracterise libertarian beliefs regarding healthcare. How often have we libertarians heard the line: “You don’t want state healthcare? Then you must want poor people to die in the street?” Thankfully most people that we debate with have now passed this childish stage; however, based on a recent experience, this is not consistent. Maybe we require a brief explanation of why this isn’t true. Let’s start with a fact: no, I don’t want the poor to die in the street. But, more importantly, this does not follow from wanting state healthcare. The logic behind the assertion that ‘if A then B’ is false: this is known as a non-sequitur. Another argument also used is that “if you don’t want the NHS then you must want the US system”, where it is therefore assumed that the poor die in the street. This uses the same false logic in an attempt to portray the libertarian as a heartless capitalist, which is then used as an ad hominem to ‘poison the well’ against further debate. As I questioned in a previous post (‘Is The State Needed?’), how many of 200+ countries in the world have adopted the NHS model? As far as I’m aware there are none, so there are still 200+ other countries with various healthcare systems to choose from – why always compare to the US? Incidentally, I’m not a fan of the US system; not because of the often-false propaganda about perceived outcomes peddled by NHS-idolisers, but because the system is heavily skewed by government and is largely run for the benefit of the insurance companies and healthcare providers. These vested interests lobby government and their costs increase year-on-year. Even US conservatives recognise that their system can learn from other countries, as per this excellent abridged speech given by Avik Roy on Health Care As A Right. In a recent study of healthcare quality, the US system came last in a list of seven major industrialised countries – despite having the highest cost. It is interesting that this report ranked the UK’s system second out of seven, with many high scores for care. It would be even more interesting if this report were to be reanalysed with new data following the Mid-Staffordshire scandal. What is noticeable from this analysis is that the UK is sixth out of seven for providing ‘long, healthy, productive lives’; I would have thought this was the fundamental outcome required of a healthcare system. Having personally experienced potentially life-threatening ‘healthcare’ only 9 months ago, I am unsurprised at this finding. If I hadn’t been so adamant that a consultant’s conclusion was wrong, then I would have taken the medication that he prescribed, which probably would have killed or maimed me. However, as I always say, you cannot extrapolate from one data point. Sadly in the last year there were over 16,000 clinical negligence claims registered with the Compensation Recovery Unit, which one assumes were mostly against the NHS, so negligence is clearly not that uncommon. What’s So Special About Healthcare? For the vast majority of us, we do not need attention from a formal healthcare system from day-to-day, but all of us do need food every day. We all manage to choose a suitable food supplier each and every day; we feed ourselves. Yet only the most dogmatic and terminally-stupid call for a nationalised food system. Food suppliers have to arrange for raw ingredients to be grown, then prepared and shipped to stores for sale to customers. Although the supply chains for these products are often long and complex, and despite the occasional scandal, few people die from food purchased from private-sector shops or restaurants. So why do so many believe that healthcare is more important to life than food, for instance, even though it patently isn’t? And why do the same people believe that only the state can safely provide this healthcare? The first point is obviously fallacious when the simple facts are considered: compare how long you can survive without food to how long can you survive without the state-provided healthcare system. Obviously you may rely on medication every day, but in reality once its is prescribed by a GP, such medication is (mainly) provided by the private sector – dispensing chemists and pharmaceutical companies – so this does not support the case that it’s important for the state to run healthcare. My own view is that healthcare need not be provided by the state. There are plenty of partially or wholly funded privately provided healthcare systems globally that work better than ours. In fact, in both of the two comparative surveys referenced in this article the Dutch healthcare system, most of which is privately provided, is regarded as better than the UK and US systems. As in most countries the Dutch government does interfere with the market somewhat, but this is mainly beneficial with minimal negative impact: it requires health insurance to be mandatory but it also pools risk requiring one fixed-price insurance for all. Also, as I’ve argued before, if we must have a socialised healthcare system then the French model (often regarded as providing the best outcomes globally) is better than the UK’s, but even their system has significantly higher private funding and provision than the NHS. Why do doctors, nurses and other medical practitioners need to work for the state; for instance most are private in France? Although the French system provides universal healthcare, it is not a single-payer system and the French themselves do not regard it as socialised healthcare. So simply comparing the UK to other countries dispenses with the myth that only a fully socialised healthcare model, with all health providers working for the state, can work. That’s simply untrue. So what’s the next reason that we simply must have socialised healthcare in the UK to prevent the poor from dying on the street? 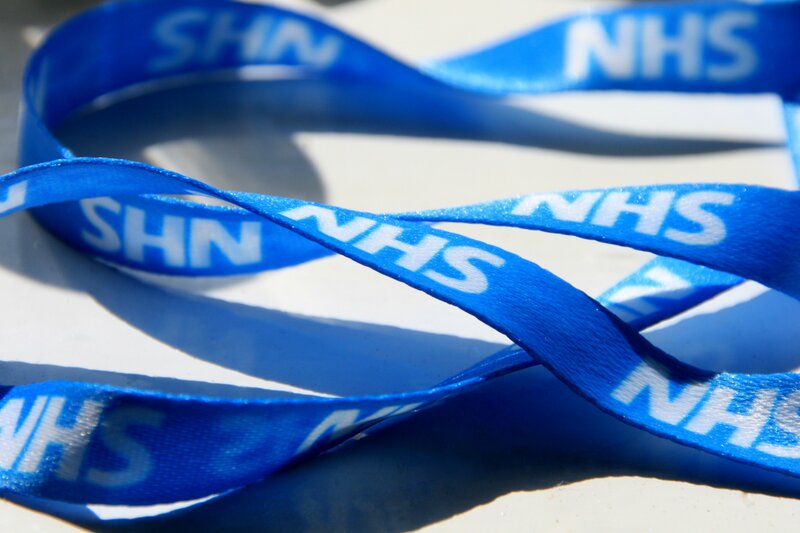 Advocates of socialised healthcare, such as the NHS model, often argue that individuals couldn’t afford the high cost of healthcare without the state providing it for free at the point of demand. This is patently wrong, as the Netherlands and many other countries demonstrate. The simple exposure of this ad ignorantiam fallacy is to ask a key question: “so where does the money currently come from?” From us, of course! The NHS currently costs the UK economy just over £102Bn per annum, or around £1,600 per capita; whilst this is lower than most other countries, it is still affordable when you consider that a full-time employee on National Minimum Wage incurs £1,641 in National Insurances and Income Tax in a year. The average working UK taxpayer pays over £4,000 per year in income tax alone (without employees’ and employers’ national insurances or other consumption-based taxes). No libertarian that I know of wants “the poor to die in the street” through lack of healthcare. We believe that there are better systems for healthcare provision for us all. We believe that if the state wasn’t taxing us all more than 44% of our income, then the vast majority of us would be able to afford better healthcare than we currently receive. The truly poorest in society (as opposed to the majority who are unintentionally poor due to the state’s distortion of the economy) could be provided for by voluntary contributions or a significantly smaller tax burden. Libertarians want better healthcare for everyone, especially the poor who suffer disproportionately under our system. So the next time you are challenged that you “want the poor to die in the street” as you do not support socialised healthcare, point out the facts above, correcting your accuser that it must be what they want, not you. Andy Bolton describes himself as a libertarian with anarcho-capitalist preferences. He also blogs regularly on his personal site – The New Liberty.